« The ‘problems’ with machine learning, Databricks MLflow to the rescue? 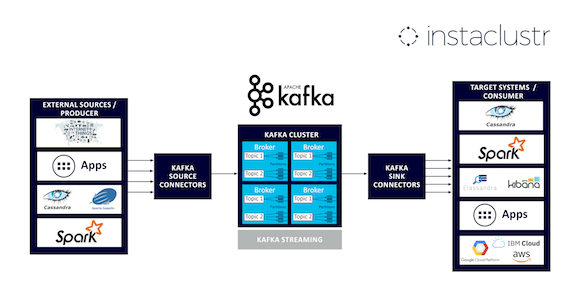 An open source player from the start, the e-dropping Instaclustr specifies that this release follows an ‘early access programe’ that saw a handful of Instaclustr users deploy the Kafka-as-a-Service solution to manage high volume data streams in real-time. Apache Kafka is an open source project providing distributed processing of continuous data streams. The managed Kafka offering follows provisioning and management patterns used to deliver other open source technologies provided through the Instaclustr platform – including Apache Cassandra, Apache Spark, Apache Lucene and Elassandra. The Kafka platform itself is also backed by data technologies designed to deliver scalability, high performance and uninterrupted availability. Additionally, Instaclustr provides customers with a SOC2-certified Kafka managed service for data management and client privacy. Kafka can be run as a standalone managed service or integrated with the other open source data management technologies that Instaclustr provides. It is available within a choice of cloud environments, including AWS, Microsoft Azure, Google Cloud Platform and IBM Cloud.